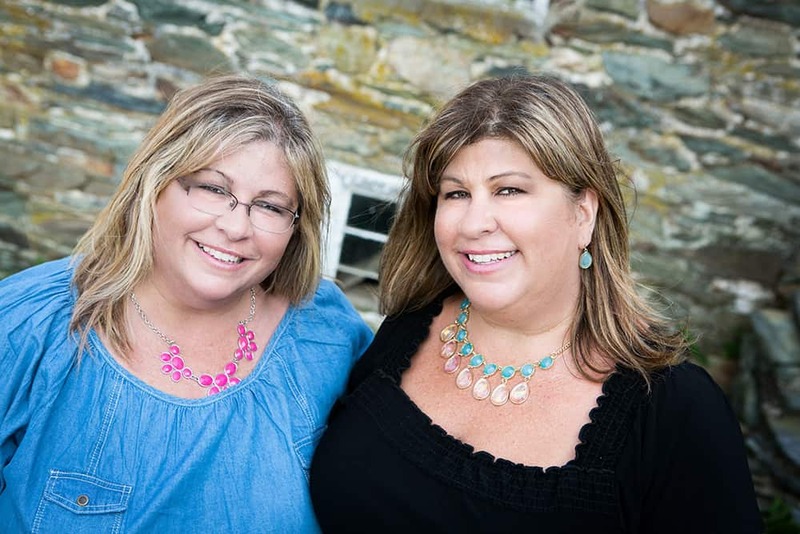 The Housewives of Frederick County and Whiskey Bottom Candle Company are teaming up for a giveaway! We’re giving away a 12 oz Hot Tottie scented candle and a 6 oz pack of Deck the Halls scented soy tart melts, valued at $42.00. The entries will start on Monday, December 2, 2013 and will end at midnight on Sunday, December 8, 2013. The winner will be announced on Monday, December 9, 2013. U.S. residents 18 years and older are eligible to enter. Here’s how to ENTER! You have the option to submit up to 6 entries per person through Rafflecopter. The winner will be randomly chosen. It’s so easy! Watch this 45 second video. How will the winner receive their candle and tarts? Once the winner is announced, they can contact Whiskey Bottom Candle Company by phone and have their candle and tarts shipped to their home address. The winner has 30 days to respond. If no response after the 30 days (by January 8, 2014), the prize will be awarded to another randomly chosen winner. Each person has up to 6 ways of entering. Because we want to be fair to those who have genuinely followed the instructions in submitting their entries, we will be checking to ensure that the entries were submitted honestly before announcing our winner. Can you tell me more about Whiskey Bottom Candle Company? Terri and I were first introduced to Whiskey Bottom Candle Company at a recent launch party for a local magazine. We were each given these cool tote bags with lots of goodies from local companies. One of those goodies was a candle from Whiskey Bottom Candle Company. The scent is heavenly and the way that the candle was made, using a recycled bottle, was very interesting to us. What a concept. Upcycling. It’s the way of the future and we love it! 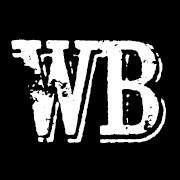 “In 2012, owners Jason and Shelby Scarlatta from Baltimore, Maryland, began the on-going adventure of Whiskey Bottom Candle Company. Although they had no prior experience with candle-making, their professional backgrounds gave them an edge. Shelby, a registered nurse for 15 years, uses her scientific approach to carefully test candles and their fragrances, while Jason, a union pipefitter for over 20 years, uses a hands-on technique to craft each candle. 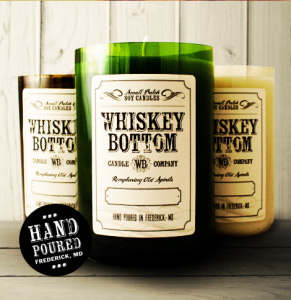 Whiskey Bottom Candle Company began with the simple joy of loving candles. Now, as professional candle-makers, their dream has become a reality. They’re thrilled to light up your spirits. 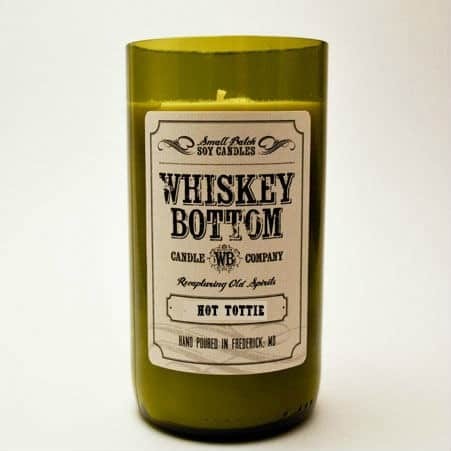 Whiskey Bottom Candle Company’s tagline is “Recapturing Old Spirits”. Drink in the light. 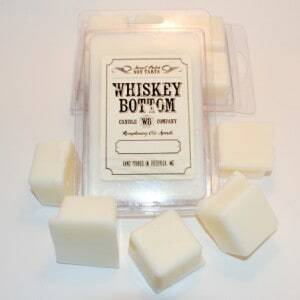 Whiskey Bottom Candle Company offers soy candles in a wide range of pleasing scents that are hand-poured into recycled glass bottles. We strive to offer unique candles crafted and poured especially by us, especially for you. 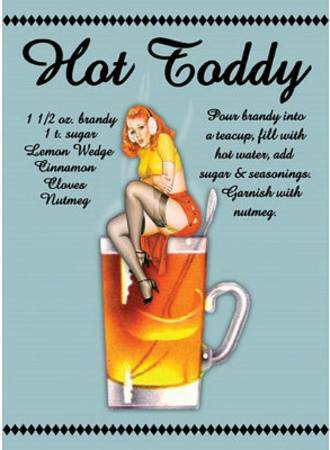 Browse our cabinet—you’ll find the perfect concoction for your home, work, or special occasion.